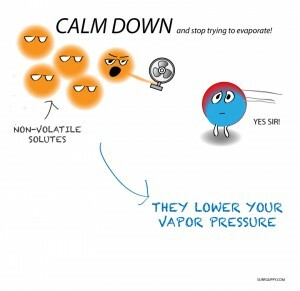 Colligative properties apply only to solutions and not gas or solids. The word colligative comes from the same Latin root that the word collection comes from. 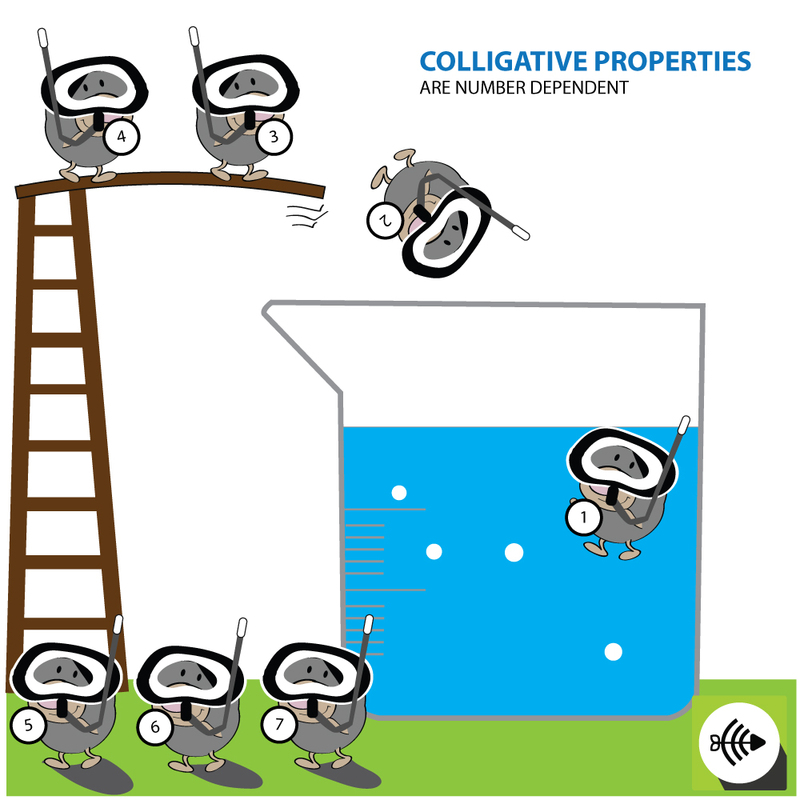 Colligative properties are affected by the amount of dissolved particles in a solution and NOT the type of particles. 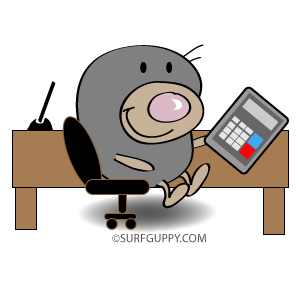 Moles are not only cute but highly essential for colligative property calculations. 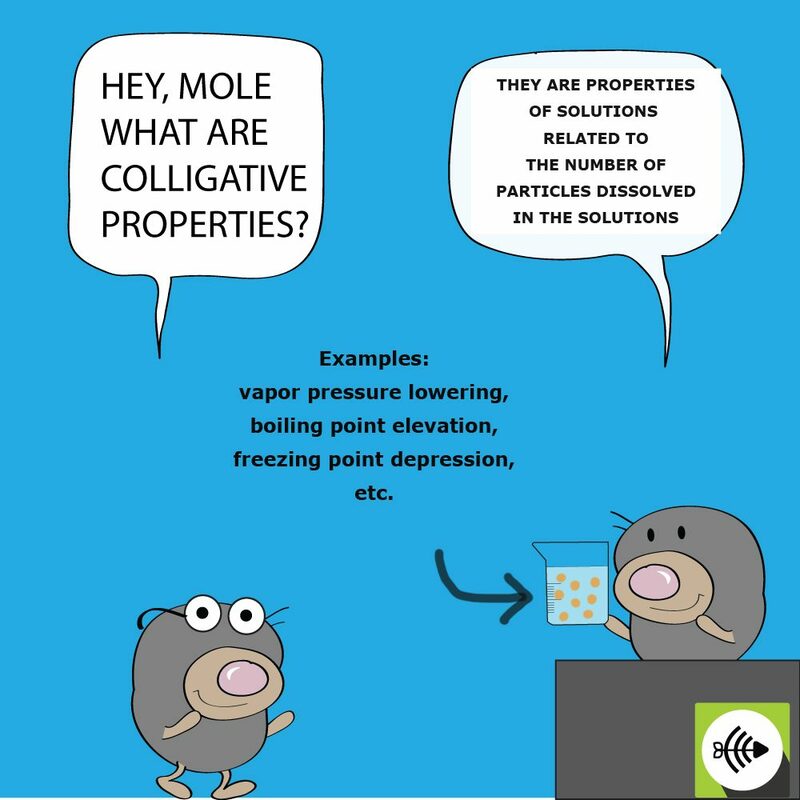 That’s because the mole can determine the change in boiling point, freezing point or vapor pressure of the solution using what is called Molality. Molality is measured by the number of moles of particles in a kg of solvent. 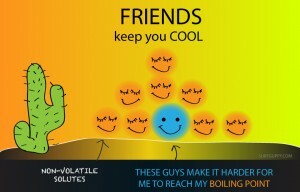 Please refer to article boiling point elevation. 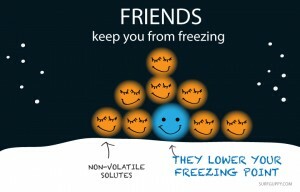 Please refer to article for freezing point depression.